APHL recently checked in with Drew Fayram, the safety officer at the State Hygienic Laboratory at the University of Iowa, to get his perspective on the progress of the CDC/APHL biosafety and biosecurity program. Initiated in 2016 with support from the Domestic Ebola Supplement to the Epidemiology and Laboratory Capacity for Infectious Diseases Cooperative Agreement, the program aims to strengthen biosafety and biosecurity practices at public health and clinical laboratories nationwide. The Centers for Disease Control and Prevention (CDC) and APHL are collaborating as partners in this initiative. Prior to becoming the safety officer, Drew served at the Iowa laboratory as an Emerging Infectious Disease Fellow and as the first manager of the Center for the Advancement of Laboratory Science. Tell us about laboratory biosafety and biosecurity risk management prior to the CDC/APHL program. Prior to the CDC/APHL program, there was great variation in biosafety and biosecurity staffing at public health laboratories. Many labs had someone who worked on biosafety part-time in addition to other roles, while a few larger labs had several biosafety specialists and added another to conduct outreach to clinical laboratories when funding became available through the CDC/APHL program. At Iowa, we had a safety officer who had other extensive management duties. After she retired, we hired another individual to oversee safety, security and building operations. In 2015 when we received funding from the CDC/APHL program, I assumed all of the biosafety roles at the Hygienic Lab, along with outreach to clinical labs. A year later, our Safety and Security Officer retired and I took on all safety duties, including but not limited to biosafety. 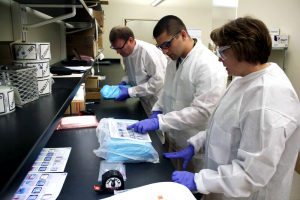 How has the CDC/APHL biosafety and biosecurity program benefited you as a laboratory safety officer? The CDC/APHL program has benefited me professionally and personally. Historically, there was no formal entry point into the field of laboratory biosafety and biosecurity. As far as I know, no US colleges offer a major in biosafety. But now the field is becoming more standardized with common resources and language, which has made it easier to bring you up to speed on regulations and best practices. The CDC/APHL program has played a big role in this, along with other groups like the American Biological Safety Association International (ABSA). 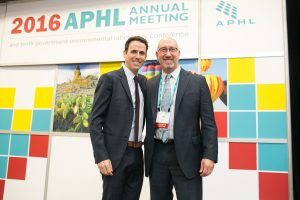 For me, the CDC/APHL program has helped advance my skills and build professional connections through in-person training, online meetings and networking opportunities. Through the program, I have connected with staff from other public health labs, CDC, ABSA International, USAMRIID and the Eagleson Institute, as well as laboratory scientists from other countries. The connections with ABSA are particularly valuable, as people there have spent their careers helping scientists conduct laboratory science safely. Without the support of the CDC/APHL program, I would never have been able to meet so many people in such a short time and so early in my career, nor would I have received the quantity or quality of training made possible by the program. Has the program led to improvements in biosafety and biosecurity practice at the State Hygienic Laboratory in Iowa? The trainings offered through the CDC/APHL program have better prepared me to serve as a resource for staff to help identify tools and best practices in biosafety and biosecurity. As a matter of fact, I was a few minutes late to this interview because someone stopped me in the hall to ask a question about a biosafety issue. I believe my efforts to serve in this role encourage staff to remain more alert to biosafety and biosecurity considerations. It’s becoming part of our culture. I also work closely with our Safety Committee, which brings together staff from all areas of the lab to proactively address safety issues at our facility before they cause anyone potential harm. How has the CDC/APHL program changed biosafety and biosecurity practices at clinical labs in Iowa? Our lab has offered workshops on rule-out of bioterrorism agents to clinical labs in our state for many years, and we have always emphasized biosafety practices at these workshops. The CDC/APHL program has allowed us to offer additional workshops specifically focused on biosafety and biosecurity to train clinical labs on how to conduct a biosafety risk assessment to make sure that they are taking appropriate steps to mitigate risks associated with infectious agents. The assessment is theirs, not mine. I share an assessment template, but advise them to adjust it to meet their needs. The staff then conduct the assessment at their facility themselves. For some staff, the assessment is a new experience. Many are familiar with quality risk assessment, but not biosafety risk assessment. But regardless of past experience, staff have successfully identified potential, actionable risks, such as biosafety cabinets that require replacement or procedures that should be performed inside a biosafety cabinet. As a result of the assessments, I’ve started to see a change in attitude at clinical laboratories. Before, staff accepted risks because they recognized the importance of fast test results for ensuring the best patient outcome possible. They may have thought, “That extra step is going to slow me down, and our patients aren’t going to get their treatment as quickly.” Now through the CDC/APHL program, risk assessment is becoming a part of daily operations, and labs are finding ways to mitigate risk while still getting test results quickly. What’s more, our relationship with these laboratories continues beyond the risk assessment. I usually get around one phone call and several emails each week from clinical laboratories asking biosafety-related questions. Many clinical labs now have staff who, as part of their regular duties, are paying additional attention to biosafety issues and engaging in conversations about best practices. I believe the consideration of biosafety issues in every day practice is an even more valuable outcome of the CDC/APHL program than putting a checkmark in a box on a risk assessment form. If Congress does not reauthorize funding for the CDC/APHL biosafety and biosecurity program in 2018, how would this affect public health labs and their clinical laboratory partners? If the program is not continued, we risk losing our investment in highly trained laboratory biosafety officers in public health labs. There is a tight market for this skill set. If federal funding does not continue to support these positions, many biosafety officers could be scooped up by universities and research centers, leaving the public health system without their expertise. Likewise, clinical labs could lose training resources provided by biosafety officers, such as training on packaging and shipping infectious substances. Each clinical lab should have a minimum of two staff trained for this purpose, and frequent turnover at these labs means that new staff often must start from the beginning. Unfortunately, we’re already experiencing some challenges. 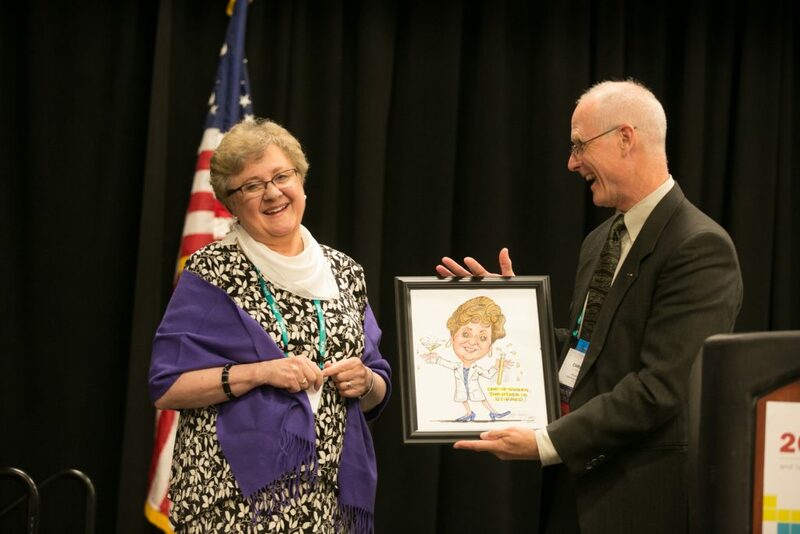 The number of packaging and shipping trainings offered by APHL contractor Dr. Pat Payne has been reduced, and we are on the waiting list to get her back. She is a true expert on this highly complex topic who keeps up on the latest IATA and DOT requirements, and other developments affecting shipping of hazardous agents. The reduction in trainings results from cuts to the cooperative agreement that supports APHL training. In Iowa, our lab has made a commitment to continue the biosafety program regardless of federal funding. If need be, we may offer fewer workshops, develop fewer resources and contract for fewer third-party developed courses, but we will continue to serve as a resource for clinical labs in our state. However, I expect that many – if not most – public health labs may not have the capacity to make this kind of commitment. What would you say to legislators who discounted the value of the CDC/APHL biosafety and biosecurity program? I would say that the duty of the public health system is to protect the health of the public. This includes their constituents. The CDC/APHL biosafety/biosecurity program was initiated to address issues identified during the US response to domestic Ebola cases in 2014 and other biosafety mishaps that occurred in the United States around that same time. You’ll remember that several US health professionals contracted Ebola Virus Disease. They and their families, along with those who provided care for these patients, lived with the associated stigma. Some people were hesitant to be around them out of fear for their own safety. Some, like Nina Pham, the Vietnamese nurse who contracted Ebola from a patient, continue to battle ongoing health problems as well. US laboratory scientists are exposed routinely to hazardous pathogens, and the risks associated with this work must not be ignored. The CDC/APHL program is crucial to ensuring the nation’s public health system responsibly and vigilantly safeguards the health of their laboratory staff and communities during future public health emergencies. We must continue to take steps to proactively mitigate risks to healthcare and public health laboratory professionals. 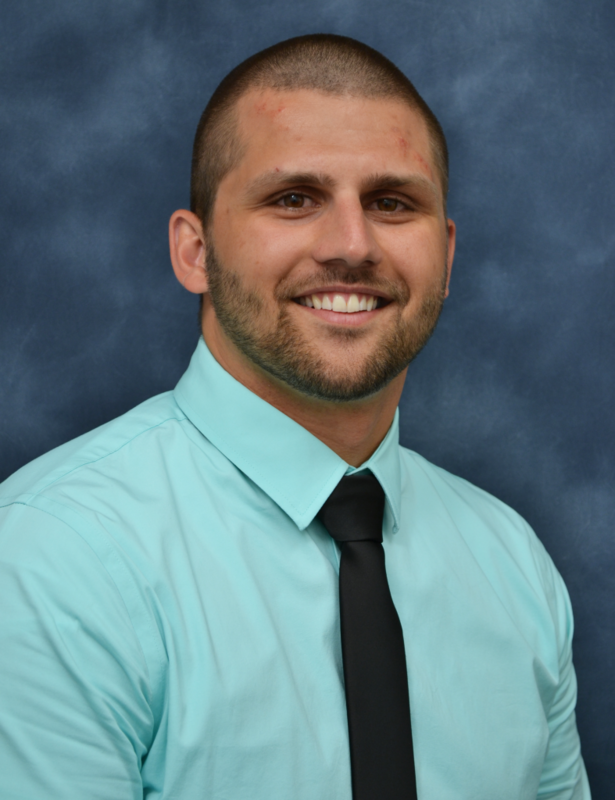 The post Q&A with Iowa lab’s safety officer, Drew Fayram: How the CDC/APHL biosafety and biosecurity program created a culture of safety appeared first on APHL Lab Blog. Over the past 60 years, the number of new diseases per decade has increased nearly fourfold. Since 1980, the number of outbreaks per year has more than tripled. These alarming trends have serious implications for human and animal health as well as severe and lasting economic consequences in affected areas. In order to address these human health threats, a One Health approach is needed. One Health recognizes that the health of people is connected to the health of animals and the environment, and calls for interdisciplinary collaboration and communication in healthcare and public health practice. With the Global Health Security Agenda (GHSA) in progress, the One Health approach is more important than ever before, and partners must come together to accelerate progress towards a world safe and secure from infectious disease threats. Inside public health laboratories around the world, scientists handle dangerous pathogens while testing human, animal and environmental specimens for disease. But these pathogens aren’t just confined to laboratory vials and storage tubes: they travel. Often diseases originate in local communities where samples are collected at healthcare facilities that are not equipped to safely and securely handle them. Blood, stool and even animal carcasses may be stored at clinics or emergency operations centers for hours or even days before the samples are transported to laboratories, often on via methods that lack the security requirements for safe sample handling, storage and disposal. Safe handling of pathogens in a laboratory or public health setting by scientists or clinicians is biosafety. Simply put, biosafety is keeping yourself (the public health laboratory professional) safe from laboratory mishaps. Keeping dangerous pathogens secure and out of the hands of someone who may want to use them intentionally to harm others is biosecurity. Biosafety and biosecurity are fundamental parts of the GHSA. Laboratory biorisk management means instituting a culture of rigorous assessment of the risks posed by infectious agents and toxins and deciding how to mitigate those risks. It involves a range of practices and procedures to ensure the biosecurity, biosafety and biocontainment of those infectious agents and toxins. Threats posed by deliberate release (aka, bioterrorism) and accidental release of infectious agents from a laboratory can happen anytime and anywhere. To mitigate the risks, it is critical that we are prepared to prevent, detect and respond to these threats. 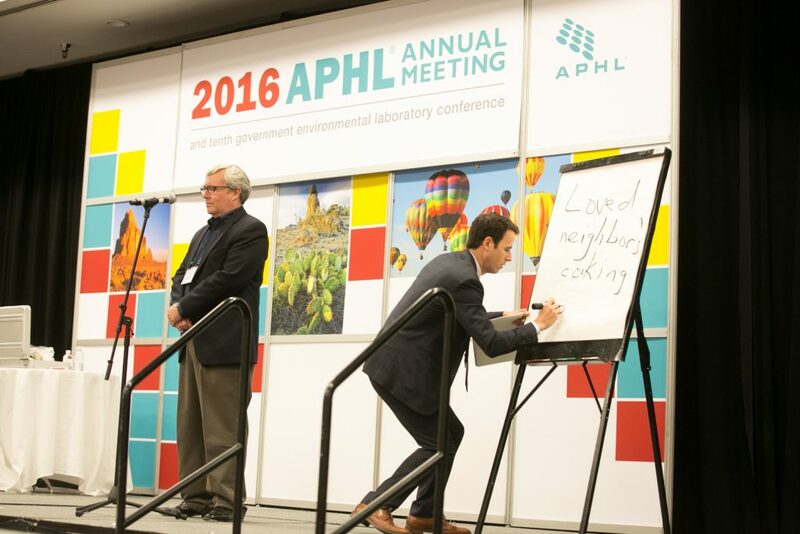 As a partner in the GHSA, APHL collaborates with ministries of health worldwide to develop effective national laboratory systems. One of the ways we do that is by providing guidance to our global partners to reduce laboratory biosafety and biosecurity risk. All laboratories – whether they test human, animal or environmental specimens – should develop and maintain biorisk management systems tailored to their unique operations and risks. There is no one-size-fits-all biorisk management system. Most recently, APHL drafted a Biorisk Management Framework as a tool for partners in Ghana. The Framework offers a comprehensive, systematic approach to laboratory biorisk management. It includes a list of essential elements Ghanaian laboratories can use to assess their operations and better integrate and enhance biosafety and biosecurity programs, whether it is a human, veterinary or environmental laboratory. In the coming months, APHL will work with partners from public health laboratories, local hospitals, and the veterinary and research communities to discuss a comprehensive, standardized approach to the development of a national Biorisk Management Framework. The goal of this One Health effort is to reduce laboratory biosafety and biosecurity risk. Preventing the next outbreak will require a One Health approach with close collaboration among the health, animal, agriculture, defense, security, development and other sectors. APHL will be there as a partner, advisor and sounding board for countries working to better manage laboratory biosafety and biosecurity risk. 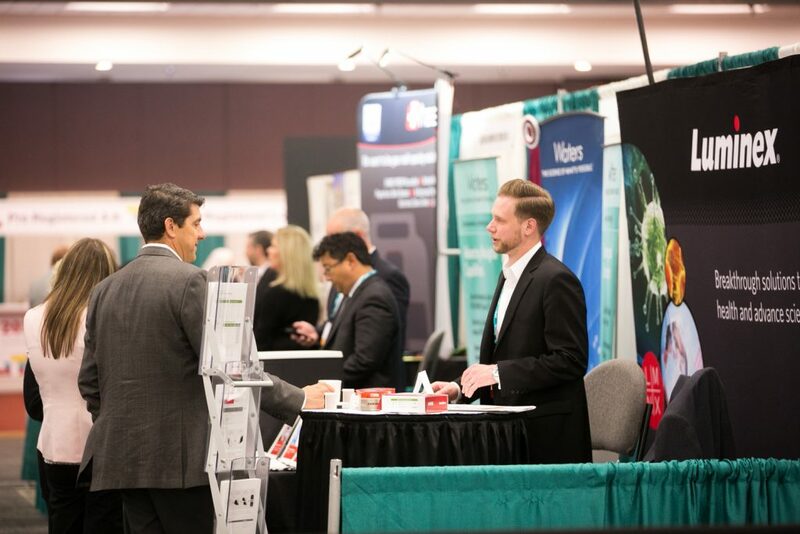 The post Biorisk management is fundamental to global health security appeared first on APHL Lab Blog. One of the best parts of my job is the opportunity to learn from a wide range of experiences. We have an obligation to not only respond to emergencies today, but to prepare for tomorrow by learning from the past. Our work extends to households affected by disease, communities ravaged by disasters, and U.S. territories battling new and changing threats. In fact, all over the world – we try to get ahead of, and manage, complex responses that touch many lives through ever changing circumstances. In an ideal world the health in every community would be at a level that would make recovery and reliance easier. The reality is that emergencies happen in all kinds of environments and populations. The Public Health Preparedness and Response National Snapshot is our annual report that gives us an opportunity to showcase the work that we and our state partners do. The report reminds us that no matter how big the emergency, we need to work together to respond to the best of our ability—with the cards we are dealt. Here are 10 ways CDC’s Office of Public Health Preparedness and Emergency Response worked to keep people safer in 2016 that can inform our work going forward. 2) A Complex Threat: Zika Hits the U.S.
CDC scientists and responders were activated in CDC’s Emergency Operations Center, where they combed through research, developed and distributed diagnostic tests, and provided on-the-ground mosquito control and education to protect people at higher risk for the virus, including pregnant women and infants. CDC’s Strategic National Stockpile is ready to send critical medical supplies quickly to where they are needed most to save lives. The stockpile is the nation’s largest supply of life-saving pharmaceuticals and medical supplies that can be used in a public health emergency if local supplies run out. Last year, we helped conduct 18 full-scale exercises and provided training for 2,232 federal and state, local, tribal, and territorial emergency responders to ensure that systems for delivering medicines are functioning well before they are needed in an actual emergency. We continue to work with our federal, state, local, and commercial partners to make sure every step of the medical supply chain – from manufacture to delivery – is coordinated. CDC connects with state and local partners to provide support and guidance, helping every community get ready to handle emergencies like floods, hurricanes, wildfires, or disease outbreaks. This year, we created a new process to evaluate how well state and local jurisdictions can plan and execute a large-scale response requiring the rapid distribution of critical medicines and supplies. Through this program, we conducted assessments of 487 state and local public health departments. The information from these assessments will be used to help improve the ability to get emergency supplies quickly to those who need them most. 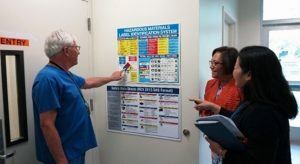 To protect lifesaving research, CDC experts in biosafety and biosecurity conducted approximately 200 laboratory inspections and thousands of assessments of those who handle dangerous select agents and toxins like anthrax, plague, and ricin to keep these materials safe, secure, and out of the hands of those who might misuse them. CDC’s Laboratory Response Network (LRN)l also develops and deploys tests to combat our country’s most pressing infectious and non-infectious health issues, from Ebola to Zika virus to opioid overdose. The network connects over 150 labs to respond quickly to high priority public health emergencies. CDC supports efforts all across the country to help those who may not be able to help themselves when a crisis strikes. Some populations, like children, older adults, and others with functional and access needs may need extra help during and after an emergency. From planning for the 69 million children who may be in school when disaster strikes to the millions of Americans who need to make sure prescriptions are filled, medical equipment is working, and help arrives even if power is out and roads are blocked, it’s up to us to protect our most vulnerable in emergencies. When every minute counts, we need people who have the knowledge to step in and take immediate action. Learning and using a common framework like the CDC Incident Management System helps responders “speak the same language” during an event and work more seamlessly together. CDC experts train leaders from around the world—25 countries in 2016—through an innovative, four-month fellowship based at our Atlanta headquarters. Lessons learned from this course were put to work immediately to head off an outbreak of H5N1 influenza in Cameroon. Throughout September, CDC and more than 3,000 organizations—national, regional, and local governments, as well as private and public organizations— supported emergency preparedness efforts and encouraged Americans to take action. The theme for National Preparedness Month 2016 was “The Power of Preparedness.” During our 2016 campaign , we recognized the successes of countries and cities who have seen the direct benefits of being prepared, looked at innovative programs to help children and people with disabilities get ready for emergencies, and provided tips for home and family on making emergency kits. 9) Health Security: How is the U.S. Doing? As part of the Global Health Security Agenda, teams of international experts travel to countries to report on how well public health systems are working to prevent, detect, and respond to outbreaks. In May, a team made a five-day visit to the U.S. to look at how well we’re doing. In the final report, the assessment team concluded that, “the U.S. has extensive and effective systems to reduce the risks and impacts of major public health emergencies, and actively participates in the global health security system.” They recognized the high level of scientific expertise within CDC and other federal agencies, and the excellent reporting mechanisms managed by the federal government. Get a flu shot. Wash your hands. Make a kit. Be careful in winter weather. Prepare for your holidays. Be aware of natural disasters or circulating illnesses that may affect you or those you care about. There are many ways to prepare, and in 2016 we provided the latest science and information to empower every one of us to take action. Every person needs knowledge to prepare their home, family, and community against disease or disaster before an emergency strikes. Whether it’s how to clean mold from a flooded home, how to wash your hands the right way, or how to use your brain in emergencies, our timely tips and advice put the power of preparedness in your hands. From the hidden dangers of hurricanes to the heartbreaking dangers of flu, there are steps we can all take to stay safe every day as we work toward a healthy and protected future. For more ways we are helping protect America’s health, check out the new National Preparedness Snapshot. To find out more about the issues and why this work matters, visit our website. You might think being a laboratory inspector is a boring job – the kind of work that’s suited to glasses-wearing, clipboard-carrying types who hate adventure and love enforcing rules. However, during a recent sit-down with a small group of CDC inspectors, I discovered their jobs are anything but dull. The inspectors I spoke with are tasked with keeping tabs on some of the nation’s most critical research laboratories – those that are registered to handle many of the world’s deadliest pathogens and poisons, like anthrax, plague, smallpox, and ricin. The lifesaving research done in these labs protects our country from unfathomable threats. It’s the inspectors’ job to make sure this critical work is done as safely and securely as possible according to government regulations. Many of the inspectors are introverts, and all take their work extremely seriously, recognizing that lives are at stake. They travel to registered labs all over the country. They observe and ask lots of questions. They check every piece of paper. They watch hours of surveillance video. They are very, very meticulous. But this doesn’t mean they don’t have a sense of humor about what it really takes – down in the trenches – to keep the lifesaving research done in these labs safe and secure. Here are some surprising things they told me about their work. Inspections generally last about three days, and inspectors go out to sites about once a month on average, but that can vary. One inspector notes that she conducted 26 inspections in a single year. Traveling so much means a lot of waiting around in airports, but sometimes the trip takes a turn toward the unexpected. If you’re an inspector, you might have to shower. A lot. At some labs, anyone exiting the lab has to strip down, take a shower, and change clothes. One lab inspector said he showered out a total of 17 times during a single inspection. Labs sometimes keep animals on the premises, and it’s the inspector’s job to check on every animal in the facility and make sure it’s being properly taken care of. Whether it’s inspecting an aquarium full of Australian cone snails or a cage of chinchillas, this can lead to some interesting exchanges. “I learned that you can’t put on a Tyvek [protective] suit before going into a room with an elk,” reported one inspector. “They hate the noise the fabric makes when you move.” In fact, he added, you also can’t wear any kind of powered respirator around them without causing a panic. Labs do a lot of work to protect our food supply. Sometimes there are huge set-ups that mimic a factory floor: a large flume for washing lettuce, or a skid that can process 800 pounds of peanut butter. The inspectors put on their heavy suits and go in to check the details. “You have to figure out how the regulations apply to every situation, no matter how unique it is,” they say. What a day! Below are some of the top tweets and a few photo highlights. For more of the day’s tweets, check out our Storify. Oz Pearlman wows meeting attendees with his mind-reading, magic and comedy!